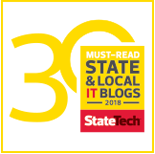 The Secretary and the OIT are responsible for developing a comprehensive four-year strategic plan for the state’s Information Technology (IT) that will be updated annually and submitted to the Governor. The focus of the plan will be on the acquisition, management, and use of IT by state agencies. The plan will coincide with the planning and budgeting processes for state agencies, with the purpose of helping the state to achieve its goals of reducing redundant expenditures and maximizing the return on IT investments.